Batch Healthcare Solution Improve DB2 Application Deployment DB2 Batch Job Summary Report DB2 Batch Throughput Analysis Report Batch Analyzer performance reports are presented in a simple format that both DBAs and Application Developers will immediately understand. In fact, Batch Analyzer will allow Application Developers to locate their own problem DB2 programs and costly SQL statements without having to contact their DBAs at all. Developers can then review before and after analysis of whether their SQL adjustments have actually improved DB2 batch performance and noticeably shortened batch run times. Locate and Eliminate DB2 Contention Problems When batch jobs fight for valuable DB2 resources, critical batch processing time is lost waiting for control of production data. Batch Analyzer quickly locates batch jobs experiencing costly deadlocks and timeouts. Batch Analyzer can also identify DB2 batch programs that do not COMMIT database changes on a regular basis. These programs waste valuable DB2 resources that can slow down your batch processing significantly. SoftBase Database Attach provides Database Administrators and Application Developers an easy solution to add COMMITS to DB2 programs experiencing contention problems. Database Attach also provides a Variable COMMIT Frequency feature that assists in properly tuning DB2 programs COMMITing database changes. Restart and Complete DB2 Batch Jobs Fast! Batch jobs that do not regularly COMMIT their changes to DB2 risk excessive rollback times should they fail. Then, even after DB2 removes all work applied by the failing job, the original program must be rerun in its entirety after all problems have been corrected. SoftBase Batch Analyzer quickly locates DB2 batch programs that are at high risk for excessive DB2 ROLLBACKs. Batch Analyzer quickly demonstrates which DB2 jobs require SoftBase’s Checkpoint Facility the most. Checkpoint Facility allows you quickly insert COMMITs and CHECKPOINTS into your DB2 batch job streams – in some instances without even editing your programs. After COMMITS are added to your DB2 batch programs, SoftBase’s Checkpoint Facility allows you to quickly restart any abended production job from the point of failure. Checkpoint Facility will reestablish all positioning and resources within the problem program, including COBOL working storage and QSAM and VSAM file access; and then completes any remaining application processing rather than rerunning the whole DB2 program from the beginning.  About SoftBase SoftBase, a division of Candescent SoftBase LLC, is committed to creating a better DB2 development experience. 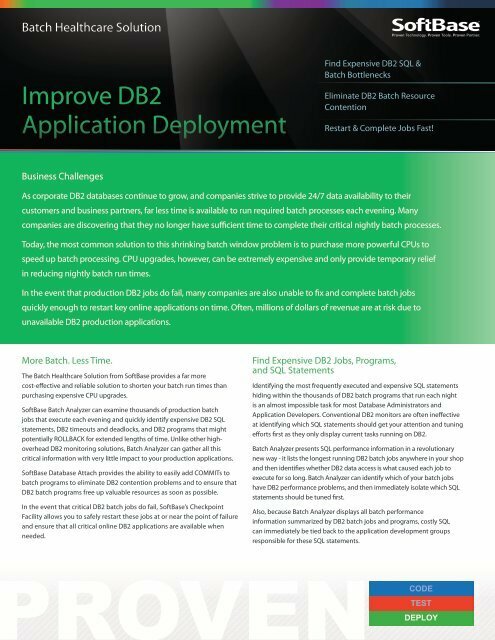 By combining decades of DB2 expertise with a set of proven DB2 testing and performance-tuning tools and an unmatched customer support team, SoftBase delivers – helping application developers and DB2 administrators create reliable, high-quality DB2 applications faster and with ease. With SoftBase you can count on tools that work as promised, and a knowledgeable support team available 24/7 to answer questions. That’s SoftBase: Proven Technology. Proven Tools. Proven Partner.